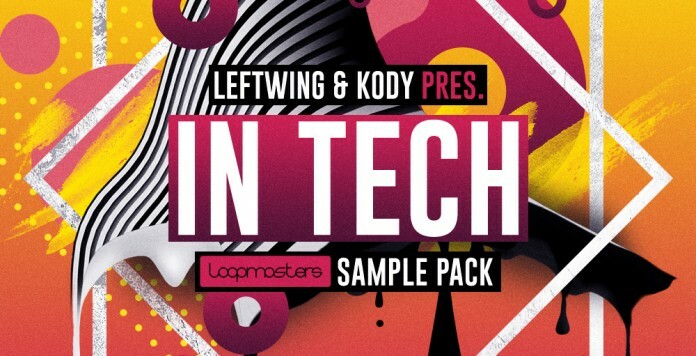 Back by popular demand Loopmasters welcome the return of Leftwing and Kody with a brand new collection of over 600 royalty free House and Tech samples. Following on from their successful Into The Deep sample collection In Tech features a wealth of grooving House & Tech loops and one shot sounds for demanding producers looking for a high quality sound bank for their future productions including Low Pumping Basses, Tight Driving Beats, Skippy Top and Percussion Loops, Teched-Out Synths and Shiny SFX. The collection also features a great selection of One Shot and Multi-Sampled Instruments plus 42 MIDI files and 10 readymade Drum Kits available in all sampler formats including Ableton Live Drum Racks and Reason Kong Kits. Make sure you log in and test drive the demo loops and get ready to sample Leftwing & Kody – In Tech TODAY!